– Leading Italian banking group Intesa Sanpaolo has chosen Cogito, Expert System’s cognitive platform, to enhance the digital experience of its customers. A combination of virtual agent and intelligent search system, the solution based on Cogito analyzes the meaning of users’ words and phrases to understand their intentions with maximum precision. Leveraging artificial intelligence algorithms for semantic analysis and natural language processing, Cogito identifies the meaning of customer requests and immediately responds with the requested information or proposes relevant actions such as direct access to wire transfers, deposits, bill payment, or any of the numerous other home banking options. It also helps fill in forms with information such as amounts or recipients of transactions. This new platform powers the group’s website and internet banking services, which have been completely redesigned in favor of a user-centric and navigation-oriented approach. “Cogito has allowed us to quickly achieve the Group’s digital strategy objectives for innovation, helping us improve the quality and experience of our online services. We wanted a new and intelligent tool capable of bringing our customers closer to the bank, and we are very pleased with the results,” commented Francesca Nieddu, Director of Customer Experience and CRM, Intesa Sanpaolo and Massimo Tessitore, Head of Integrated Multichannels, Intesa Sanpaolo. Only six months after its launch during the summer of 2016, Intesa Sanpaolo’s cognitive banking service powered by Cogito is achieving a fast adoption rate with 30% of customers already using the service regularly. Thanks to Cogito, users don’t have to worry about selecting the “right” search expressions anymore and can use everyday phrases instead. Because Cogito also understands the intent of requests, searching for “I want to make a bank transfer for €100 to Mark Smith”, for example, would allow direct access to the bank transfer service. 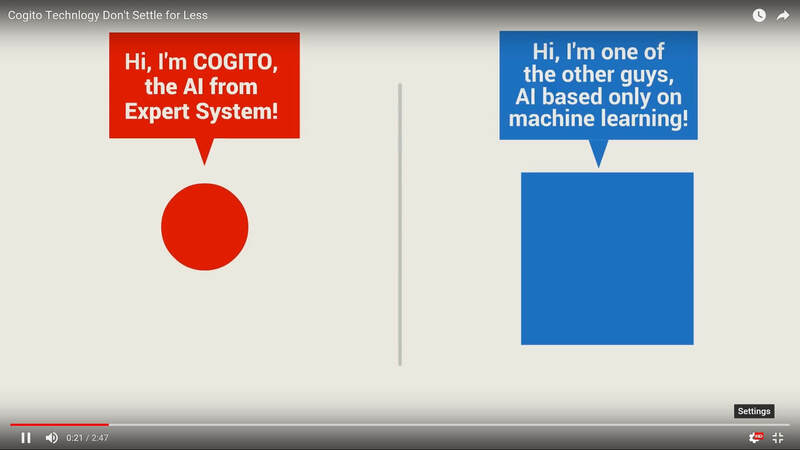 Compared to other cognitive computing solutions that typically involve long implementation cycles, Cogito is both quick to implement as well as scalable, resulting in a quick ROI.